Both sexes fully winged, female with a wasp-like waist. Body, legs and antennae largely brown, but abdominal segments II–III sharply yellow except for anterior margins, segment X yellowish, antennal segments I–III yellow but III lightly shaded at apex, all femora with apices yellowish; fore wing banded, brown with a small sub-basal pale area, and a broad median pale area, but uniformly brown sub-apically. Antennae 9-segmented, unusually elongate, segment III about eight times as long as wide with long sensory area formed of irregular scallops. 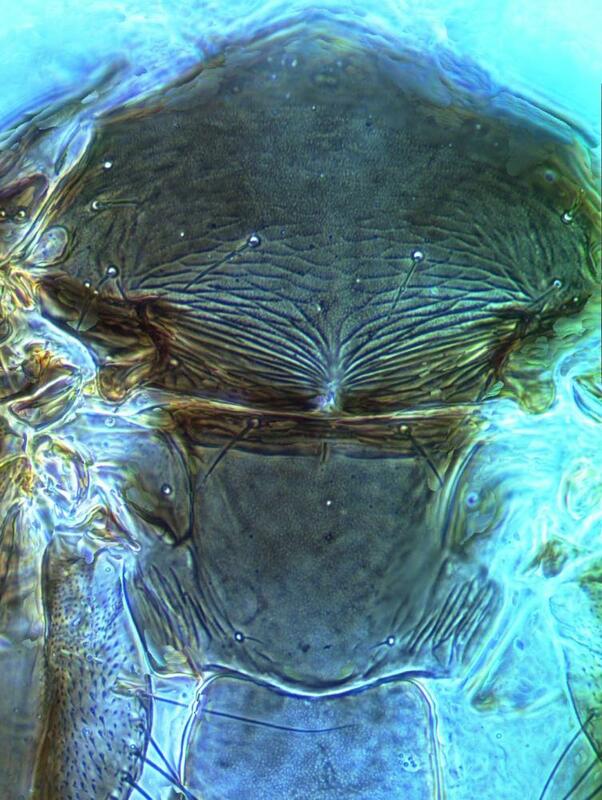 Head broadly recessed into anterior margin of pronotum. Metanotum with no sculpture medially, one pair of setae at anterior margin and one pair near posterior. Fore wing slender with apex rounded. 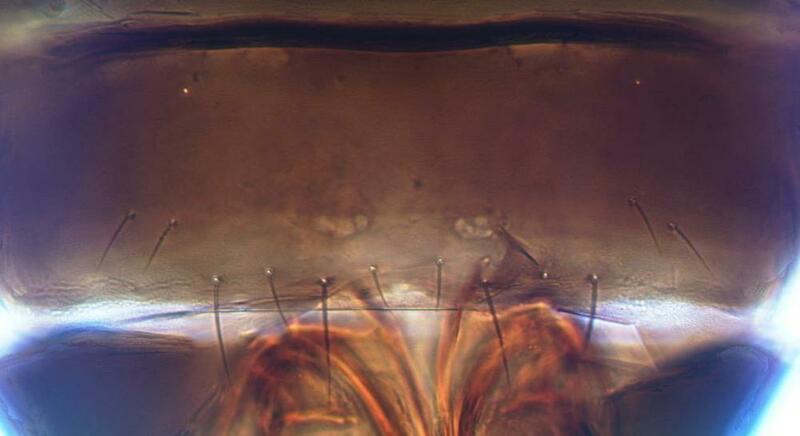 Sternites IV–VI each with two pairs of marginal setae and two pairs of setae laterally on discal area. 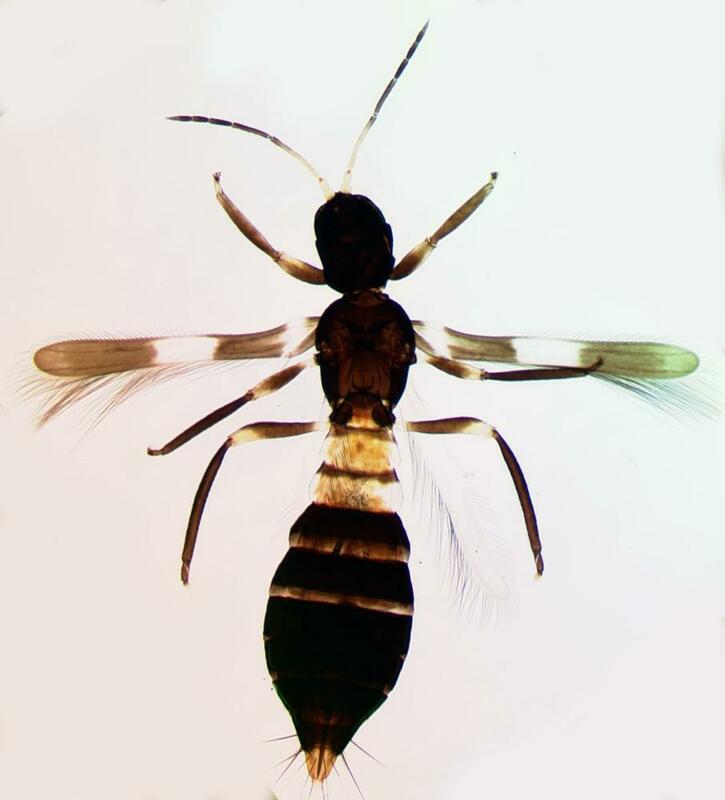 Currently 16 species are listed in the genus Franklinothrips, all from tropical and subtropical countries, but more undescribed species are known from SE Asia (Mound & Reynaud, 2005). 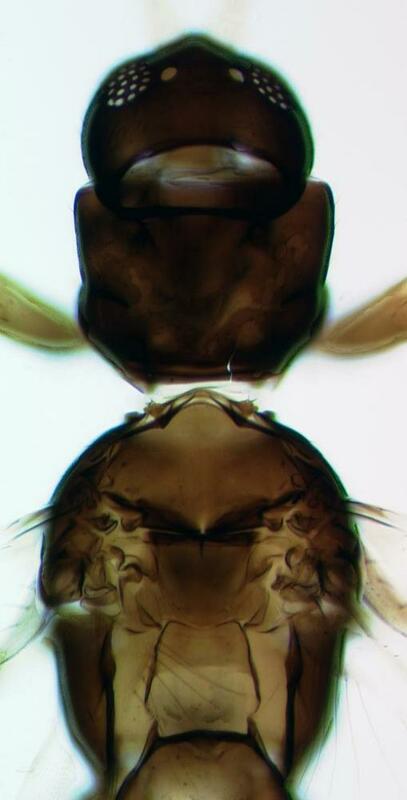 F. orizabensis is particularly similar in structure to F. vespiformis, but has the forewings broader at the apex and without a pale sub-apical area. Adults and larvae are predatory on the larvae of other thrips species. It has been the subject of extensive study, on its ant-mimicry (Johansen 1983), and on its predatory behavior (Hoddle, 2003a,b). On avocado trees in southern California (Hoddle et al., 2001a,b) it has proved to be a useful predator of the pest species, Scirtothrips perseae, and it has been marketed in Europe as a biocontrol agent against pest thrips in greenhouses (Mound & Reynaud, 2005). Reported to be associated with the foliage of trees and shrubs rather than on low growing plants, in contrast to F. vespiformis.